Go with a safe and more aesthetically pleasing way to correct tooth damage, decay, and cavities. Composite fillings utilize tooth-colored restorative materials, allowing you to maintain a more natural overall appearance to your smile. Tijuana Clinic of Cosmetic Dentistry uses composite fillings that do not contain any form of metal, as opposed to more traditional amalgam (silver) fillings which can distract and detract from your smile’s overall appeal. There is no chance of developing any sort of allergic reaction and no worry of any other potentially dangerous materials (like mercury). Our composite materials will bond adequately to your tooth’s surface, eliminating the necessity to cut grooves or slots into the healthier parts of your tooth. We work to maintain the healthy areas of your mouth while bolstering the areas where you might need some improvement. We also avoid using anesthesia wherever possible, unless there is decay in your dentin layer. We’ll match the color of your filling to the original tooth using sophisticated technology. This will make your filling virtually unnoticeable. 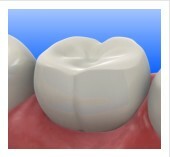 Composite fillings can last years with the proper level of care. Once your filling is color matched and places, we’ll shape the material to match the natural anatomy of your tooth, making sure there is no bite discomfort. We’ll cure your filling with a special ultraviolet light. From there you’ll be on your way with a comfortable, natural-looking improvement to your smile. Contact Tijuana Clinic of Cosmetic Dentistry today for composite fillings that are sure to stand the test of time. Call today to schedule your consultation and we’ll decide the right course of action for you. Dr. Shirley Baker is a skilled general and cosmetic dentist providing fillings and other restorative treatments to patients in the United States and Canada. To learn more about her outstanding restorative work, contact us at the Tijuana Clinic for Cosmetic Dentistry to make an appointment today.